Michelle is an accredited coach and mentor, who has helped countless individuals and teams reach peak performance and career and life success. Whether you want to refine your approach, shift your thinking, change careers, accelerate your progress, uncover hidden goals or elevate your ability to connect, inspire and achieve Michelle can help you secure these outcomes. If you would like to enquire about a one-on-one mentoring session with Michelle, please email: [email protected]. Michelle loves helping people find their purpose, build capability, accelerate their success and elevate their career to new levels. Having worked in some of the world’s largest and most complex organisations she understands the challenges you can face. She shares her depth and breadth of experience with her clients – bringing insights from the past, as well as a focus on the future. Every person is unique and so too therefore is the mentoring experience. Her programs are tailored to the needs of each client and designed to ensure they receive optimal value. Value that is tangible, practical and makes a real difference to their career and life. She believes passionately in the value that mentors can play in shaping career and life outcomes. Throughout her working life she’s relied on mentors to guide her, and challenge actions and perspectives. If you’d like an insight into what it can be like to work with Michelle, then read ahead. 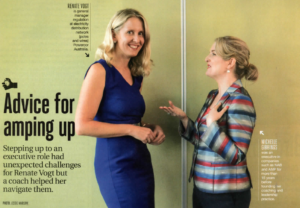 It was a privilege for Michelle to work with Renate Vogt, General Manager of CitiPower and Powercor, as she helped her navigate her new executive role. This article originally appeared in The Australian Financial Review – read it to find out more about the results you could achieve. “My executive coaching journey with Michelle over the last 10 months has been a fantastic experience. I made a commitment to myself to focus more intensively on my professional and personal aspirations, passions and goals, and on getting a whole of life balance that deeply energises me every day. I deliberately wanted Michelle to work with me on supercharging this journey. 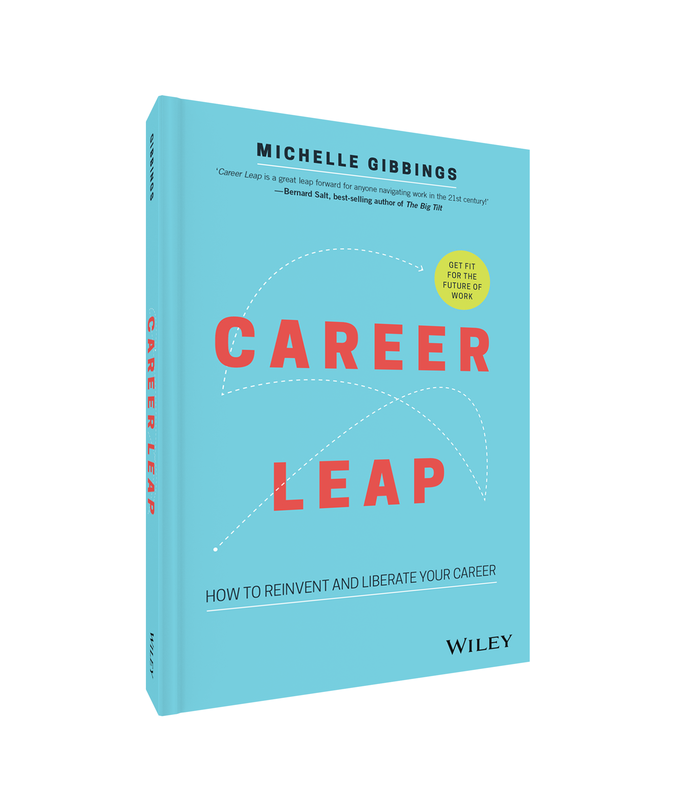 “I engaged Michelle’s support to help guide me through the next steps in my career and to equip me with insights on how to best position myself in a dynamic and constantly changing work environment. Michelle is empathetic and supportive and was always available to discuss any challenges, whilst providing the necessary challenge and questions to help me see things through a different lens. I walked away from the sessions enthused and engaged to make positive change. It was a fantastic experience, which I’d highly recommend”. The program helps Leaders deliver more value, particularly in times of change. Increase your ability to influence sponsors and stakeholders? Secure greater traction and engagement with your team? Take your leadership and career to the next level? If so, then this program is for you. Michelle will guide you through a series of activities that are designed to help you move forward positively and optimistically with your leadership and career goals. Successful negotiators know that negotiating isn’t just about the process. It’s about understanding yourself, others and the context of the situation. It’s about being prepared and backing yourself. Be better at negotiating for what you need at work, be it flexible work, payrise or work outcomes? Have the courage and conviction to stand up for what you believe in? Be skilled at negotiating successfully with difficult stakeholders? If so, then this program is for you. This program runs over 12 weeks and is held in a collaborative and group learning environment. In a small group you’ll work with like-minded professionals to develop, shape and refine your capabilities and skills. You know how frustrating it is when your career feels blocked. You feel stuck, restless and unvalued. Rejuvenate, reshape or redefine your career? Define your career goals and take steps to bring them into reality? Have a career where you feel valued and you are contributing to your full potential? Working with Michelle, she will show you they key steps to take to have the conviction, choice and capability, which enables you to truly liberate your career.